Not long ago I was chatting with a friend about the old days. Specifically, that my dad worked, my mom looked after the house (and him) and we had lots of money for everything that we needed and wanted. My dad wasn’t a doctor or lawyer, just a regular guy. My parents went on a nice vacation every year. Our family had more than enough to get by and get ahead. I remember when my grandfather retired (in the late 70’s) and was looking at property on the west coast. He couldn’t justify spending $70,000 for a small house. That same house is worth a million dollars today. I don’t know what he paid for the home he retired in (it was a nice place) but it was less than what I paid for my last vehicle! He was able to retire comfortably. I recently saw a facebook post that mirrored my earlier conversation. It was actually quite concerning. I have a very well paying job, my wife does too. We are however, very close to the edge. We have a nice home, it is nothing special, just nice. We each need a reliable vehicle. Between the mortgage, car payments regular bills and small unexpected stuff; there is not anything left over to save! When I look into my future there is this huge fear of running out of money! Fear of Running Out Of Money! If you are not afraid of running out of money, you should be. It is human nature to live at the edge of our means. Yes, a few of us have been wise (or lucky) enough to make profitable investments that will carry us through the rest of our lives. Most people have not been that lucky (or wise). As we approach the time in our lives where we should be able to start to slow down and enjoy the fruits of our labor, the roof of the house needs to be replaced! Well, there goes the trip to Jamaica and another year (working) to pay that off. Next the washing machine breaks down and between replacing the ruined carpet and new machine it’s another two years working. Will you ever be able to retire? Money fears are real! Money fears can eat away at your soul and prevent you from acheiving your desires! One of my joys is to sit on my deck with a nice dram and look at the amazing view of the valley. In the summer when the air is warm I close my eyes and imagine myself retired and carefree. I can picture my grand kids running in and grabbing a handful of little candies from my stash and giving me big hugs. I imagine my son asking how my trip (to some beautiful tropical beach) was and sharing pictures of my adventure. Then he asks if he can ‘borrow’ $380. (most likely over a thousand by that time) for new tires. That brings me quickly back to reality and I realize that the gas utility has increased costs by another eight percent. That’s how money fears can overtake your thinking! Retirees Fear of Running Out of Money! I think the fear of running out of money is greatest for people who have already tried to retire. People who for whatever reason cannot work anymore. Either a physical ailment or younger, stronger has replaced them. These people have a limited cash source. Unless their investments are growing in value faster than the cost of living is going up – there must be an incredible fear! What if I outlive my money? What if my money runs out before I do? Will I be forced to live off of my children or welfare? Why didn’t I save more money? Will I have to sleep in the streets? These are some of the questions that I could see myself asking ten or twenty years down the road. What about you? What are some of the questions that you have relating to your own fears of running out of money? If you are young enough and have most of your working years to come. Be wise, set goals, learn about investing and save for your future. It’s nice to have things and do fun things, but you really want to try to be responsible so that one day you will not have to work anymore. If you are a little older and don’t have as many working years left, well, there still is hope. Maximize your pension and retirement savings plans. Pay down your debts as quickly as possible. The big thing, before you run completely out of energy, is to find an income source that is not too physically demanding. You need to find an income source that you can enjoy working on. One that you can do from anywhere, even just part-time. How to Make Sure You Have Enough Money! It is important to set some goals. (You can learn some goal setting techniques here) Nobody ever plans to fail; people do, however, fail to plan! Making goals (and sticking to them) is an important part of success. Your money goals will keep you focused on what needs to happen to get that money you need. It is also important to have revenue coming in from multiple streams. It is amazing how much more you can do with a little extra income. The best source of extra income that I have come across is affiliate marketing. Put Your Money Fears to Rest! Put your money fears to rest! Affiliate marketing is an easy to operate business that can generate a very nice stream of income! What makes it so good is that there is very little investment (both time and money) needed. You do not need a university degree or even a college certificate. There is a learning period, but it is short and very inexpensive. You can get all of the training needed to get started for free right here! Affiliate marketing is a business that can be automated to the point where there is very little that you need to physically do yourself. This leaves you time to enjoy your life. There is no requirement for a physical location; you can run your business from anywhere (in the world) that you can get an internet connection. Learn About Affiliate Marketing For Free! 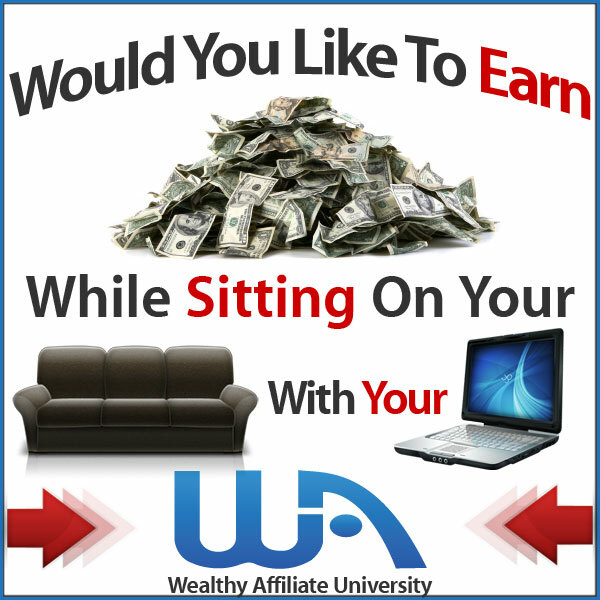 My name is Robb Murray and I am an affiliate of Wealthy Affiliate. I’m excited at this opportunity to help relieve money stresses and teach people how they can achieve a significant second income. 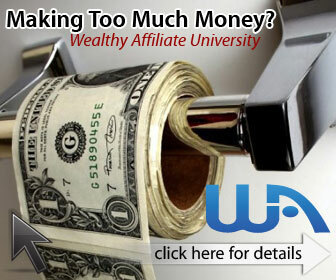 Wealthy Affiliate is an affiliate platform where you can get everything that you need to succeed at affiliate marketing. The training is the best on the internet without exception! Yes, there are bigger, better packaged training courses selling for thousands of dollars but the content of the learning is (at best) almost as good as W.A. Everything you need is available in one location. From (the best) training, websites and (super fast) hosting to the tools and mentors needed to succeed at any business! If you truly don’t ever want to worry about money ever again, look at what Wealthy Affiliate can do for you. (learn here) Leave me a comment below and please share this post. Its time we all stopped this fear over money! Well said! It’s sadly true though! My colleagues and myself often discuss what to do with the sometimes extra money we earn ! The debate is maintaining a house or creating memories! Finding a second or third successful income would sure help these days! When I was in college I remember a business professor telling us that there were many ways to increase profits… Cut down on expenses, improve procedures, or (his favorite) find other streams of revenue! I agree, as long as you don’t spread yourself to thin! Lets all have fun and make money!!! Well said! It’s sadly true though! My colleagues and myself often discuss what to do with the sometimes extra money we earn ! The debate is maintaining a house or creating memories! Finding a second or third successful income would sure help!